Some stuff is about to go down in the world of Dragon Ball video games. Bandai Namco has announced that it will be kicking off the next week with the Dragon Ball Games Super Showcase, an hour-long, live stream event that seems to be chock full of news, reveals, and interviews. Naturally, Dragon Ball FighterZ and Dragon Ball Xenoverse 2 are a part of the show, but a lot can happen in an hour. The Dragon Ball Games Super Showcase will be airing on Bandai Namco’s official Twitch channel on Monday, January 14, 2019 at 4:00 PM PST. It’s set to run for an hour, and Masayuki Hirano (producer, Dragon Ball Xenoverse 2) and Tomoko Hiroki (producer, Dragon Ball FighterZ) are advertised as special guests. As special guests, it seems like the two will be the subjects of interviews as part of the festivities. Outside of some controversy over tournament presence that will hopefully be clarified soon, Dragon Ball FighterZ has been pretty quiet since finishing up its roster of DLC character additions. 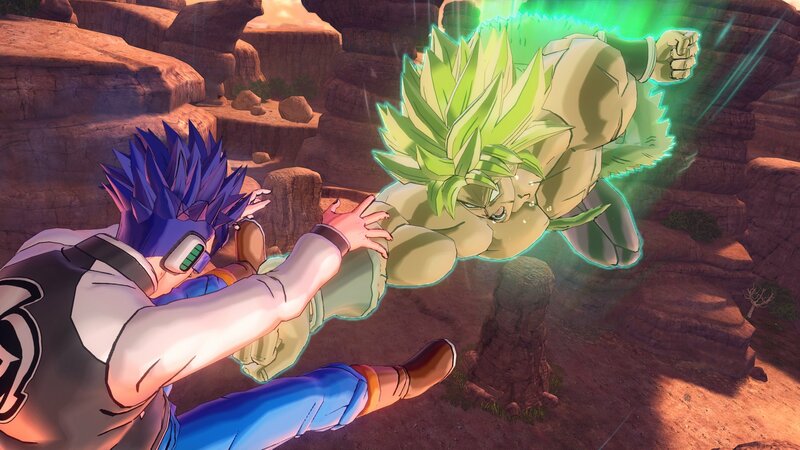 Meanwhile, Dragon Ball Xenoverse 2 has still been trucking along, and recently saw DLC introducing Super Saiyan Blue Gogeta, a tie-in for the upcoming Dragon Ball Super movie. The graphic accompanying the announcement here shows four question marks, could that be a hint to the number of announcements ahead of Dragon Ball fans? Tune in on Monday to find out.